SENT OF THE 10TH OF EVERY MONTH. Each month, the roasters carefully choose which beans they want you to try, and will roast them just before shipping. Payments will be processed on the date of join and at 25th day of the month every month thereafter. 25th day of the every month is the cut-off date. You can cancel your subscription any time. However, if the cut off date has passed, your next shipment will have already been processed, and will not be able to be cancelled. 5-12 BUSINESS DAYS OF SHIPPING TO MOST MAJOR CITIES AROUND THE WORLD. Coffee beans are shipped on the 10th of every month. Beans reach most major cities worldwide within 5-12 business days. Should we anticipate additional time will be necessary for your shipment to reach your region, we will contact you with an estimated delivery date. As products are shipped via JAPAN POST OFFOCE, you will be able to track your package. You will be notified by email when your order has shipped. Shipping costs are included in the purchase price. To some countries/areas, EMS shipping might be necessary. In this case, an extra shipping fee will occur. If you live in a concerned area, extra shipping fee will be added on your Check out Page. We also run Goodcoffee.me, an online coffee guidebook that helps people discover coffee stands in Japan and all over the world. Now, excited to introduce to the globe the actual taste of Japanese coffee, we’re brining our online presence into the real world with this coffee subscription service. 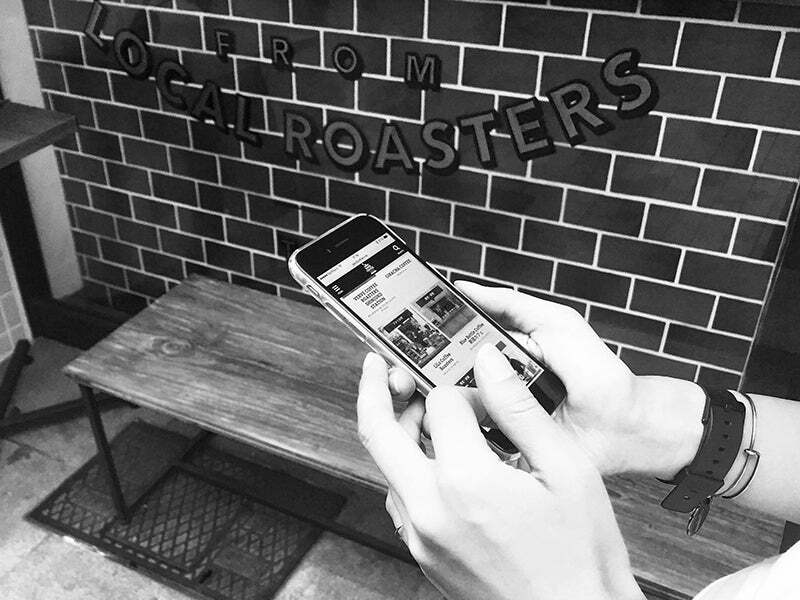 ENJOY THE COFFEE OF VARIOUS ROASTERS THROUGHOUT JAPAN. The selected 2 roasters differ by month. Try out many, and find your favourite. 2 plans available: The 200g/3,500yen set OR the 400g/5,000yen set. Next cut off date is Apr 25th. Your coffee will be shipped on May. 10th. In recent years, many coffee shops around the world expanded their business in Japan, not just coffee brewing but also roasting coffee. For this time, we are going to introduce you two roasters that you would definitely know which are both roasted in Japan. Opperating in Shimoseki city, Yamaguchi prefecture since 2016 last year saw the opening of their second shop and roastery called THE LAB. Craftsman greatly value the connections with people and discoveries made through coffee, bringing a "deep taste" to the cup, probably why they are loved by so many people. We have happy delighted to bring you this coffee bursting with the energy and craftsmanship of the Craftsman Coffee team! Situated along Hoshikawa st. in Kumatani city, Saitama pref. since 2009; Hoshikawa Cafe. Last year they opened a new shop called Conscience. The owner Mr. Suzuki, who first encountered Coffee in Australia. He was blown away by the light roast coffee in a Nordic coffee shop which was lead him eventually to roasting the highest quality in beans in his own shop. We are proud to present these beans, roasted to bring out the characteristics of each place of origin (light and medium roast) by Mr. Suzuki for you to enjoy!